As we begin the new year, it’s time to review your previous marketing strategies and strategize for the upcoming year. Here is a list of 6 proven marketing tips that will boost your business. We hope you find our marketing tips useful. Selling is all about the benefit. Focus on how your product or service will improve users’ lives. People do not buy things just for the sake of buying- they want it to solve their problems! It has been proven that most purchasing decisions are emotional, not rational. Marketers need to spend a great deal of time getting to know their target market, or buyer persona. Once they know this, it is much easier to personalize sales and marketing messages, anticipate the needs of their target market, and exceed expectations. It is a proven fact that having a well-defined buyer persona can help you build a more effective marketing plan and target your marketing campaigns and offers to the right groups of prospects. Hasse Jansen has written extensively about the benefits of buyer personas. Today, there are so many marketing channels. There are not only many social media platforms that you can market on, but there are also content and email marketing, as well as the vast online world. The world is your oyster - take advantage of it! Content Marketing can be a very powerful tool, but it's crucial that the content you create is of excellent quality and value. Publishing trending content is essential, but make sure you are also publishing evergreen content. Another thing to keep in mind is to make sure to include a sharing button. The more exposure (whether it be blogs, newsletters, infographics, etc.) to your content, the better. Email Marketing is one of the most powerful and cost-effective tools out there. Knowing your buyer persona, or ideal client, allows you to target your email messages and offers. I would suggest building your own email database, rather than purchasing one. To read some tips on email marketing from enCloud9 click here. Marketing Automation is an amazing tool to use in your email marketing. No matter how hard you try, you just can't do it all. Let automation do the hard work for you. Why start the New Year out with tasks/emails that could be automated? Marketing Automation not only saves time and money, but also alleviates a lot of stress and has been proven to increase productivity, efficiency, and customer retention. Contact enCloud9 today to find out more about our Marketing Accelerator. Our Marketing Accelerator combines the power of Microsoft Dynamics 365 for managing sales and ClickDimensions for marketing automation. When marketing and sales teams work together, organizations have clear insights into your customer's journey. Most companies do exactly the opposite. They wait until a product is perfect and then they market it. What they really should be doing is generating interest before the product is offered. Let customers know the product is coming. Sell the benefits before the product has arrived. When the product is here, you are ready and so are they. The market is becoming increasingly competitive. Your competitors are likely offering products and services that include a lot of the same features. Look at what your competitors are offering - and improve on it. You need to make your offer the most attractive and do something that stands out. This goes back to the idea of selling the benefit - not the feature. Convince prospects that your offer is going to solve their problems. Spend some time thinking about what makes you unique and focus on it! That is what is going to make prospects choose you over the competitors. If you are going to invest time and money in marketing, you want to be sure your investment is paying off. You need to be able to track conversions that stem from each marketing campaign. You may want to run many marketing campaigns at once so you can compare. Throw out the ones that don't work and keep the ones that do. Marketing Automation, combined with a CRM system for managing sales, is a great way to track and monitor your marketing campaigns. Learn more about how enCloud9's Marketing Accelerator can benefit you by visiting http://bit.ly/2FhV1Vq. Many companies do exactly the opposite. They try to answer as many questions as possible and give as much information as they can. You want to give prospects a reason to contact you. There should be a basic level of information offered, but it should inspire them to contact you. So there you have it- 6 proven ways to boost your marketing in the New Year. We hope you found something of use on our list of marketing tips. To learn about some other simple ways you can step up your marketing, click here. 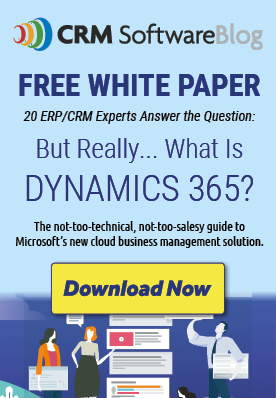 enCloud9 has one of the most experienced Microsoft Dynamics 365 CRM teams in the US. From pre-sales to project management, and user support, we respond quickly with our expertise to answer your questions. Our history dates back to 2009, but our experience dates back even longer. Our consultants have been advising companies for almost thirty years to give them the tools to achieve their goals. Our experience leads to your success. Isn’t it time to turbo charge your marketing? Let the ClickDimensions certified professionals at enCloud9 assist you in creating your first integrated marketing campaign using ClickDimensions easy-to-use marketing automation solution! We will help you along in each step of the process. Contact us today to get started with our Marketing Accelerator. If you are not already using Dynamics 365 for Sales, the Sales Accelerator can be implemented along with our Marketing Accelerator.